José Mourinho is among many as one of the greatest coaches in soccer (football) history, and he is the current manager of Manchester United. In his impressive managerial career, he has helmed top football clubs such as Porto, Real Madrid, and Chelsea. José Mourinho was born in Portugal on January 26th, 1963. From a young age, his mother encouraged him to aim for success in all his endeavors. His father was a professional goalkeeper. Because of this, Mourinho always had a keen interest in football. When his father moved on to coaching, Mourinho followed his lead. He began to study opposing teams and game tactics relentlessly. After being a school coach for a few years, Mourinho’s dream was to go into professional coaching. He looked for inroads into his desired career. He ended up working as an interpreter for the famous football coach, Sir Bobby Robson. Mourinho developed a friendship with Robson and discussed football tactics and strategies sometimes late into the night. He followed Robson across several clubs from Sporting to FC Porto and Barcelona. His first break into professional coaching came in September 2000 when he was appointed the manager of the Portuguese club, Benfica. He had quick successes there but was asked to leave soon after due to a conflict with the club president. Nonetheless, Mourinho caught the attention of the top tier clubs in Portugal. He was hired to manage FC Porto in 2002. He was hugely successful at the club, guiding the team to win the Primeira Liga, Portuguese Cup, and the UEFA Cup in 2003. He continued to have similar successes in subsequent seasons. His next stint at Chelsea was also remarkable. He led Chelsea to six trophies in three years. However, after a fall-out with owner Roman Abramovich, he left the club in 2007. After Chelsea, he coached at Inter Milan with relative success before moving on to Real Madrid. In 2012, he led Real Madrid to its first La Liga title in 4 years. He returned to manage Chelsea from 2013 to 2015 before moving on to head Manchester United in 2016. 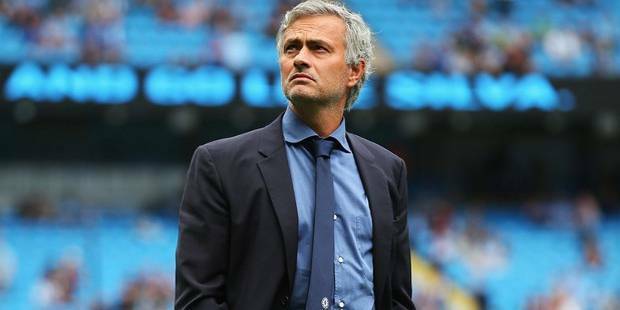 Mourinho’s coaching style is known for being heavily influenced by psychology. “A coach must be everything: a tactician, motivator, leader, methodologist, psychologist.” To that end, he often tailored his approach to individuals on his team to get maximum buy-in. For instance, while coaching at Chelsea, he told Frank Lampard that he was possibly the world’s best player, but he needed to win championships to prove it. This appealed to Lampard’s desire to be the best and pushed him to play more for the team than for himself. People are complicated in their decisions and motivations, but it never hurts to study psychology to get an edge. Try to figure out what makes your team members tick, and use that to your advantage to achieve organization goals. By communicating his vision and expectations, Mourinho set the tone for the team’s mindset and the level of performance he wanted from them. This challenged his players to rise to meet his standards and had the team playing at a much higher level. As a leader, work towards becoming a better communicator and unite your team by articulating your vision and setting expectations for team performance. This makes it easier for you to manage your team members and ensures that everyone is aligned towards the same direction. You are not your team. Just because you are leading the team doesn’t make every victory your credit, and every defeat your failure. It is essential that the whole team takes the credit for the win as well as responsibility for the loss. Everyone bears the burden, and everyone deserves equal credit. What Teams Did José Mourinho Coach? What is José Mourinho’s salary? He earns approximately 15 million pounds per season. It is rumored that he wants an even bigger compensation package due to how the team has performed under his leadership.